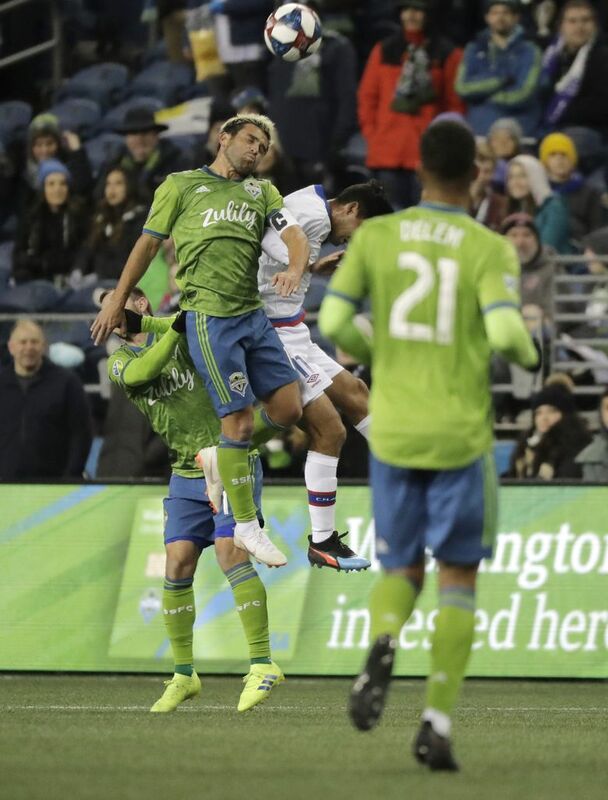 The Sounders lacked cohesion at times with a mixed lineup of regulars and reserves and paid for it with Wednesday's loss to Nacional of Uruguay in a friendly played at CenturyLink Field. 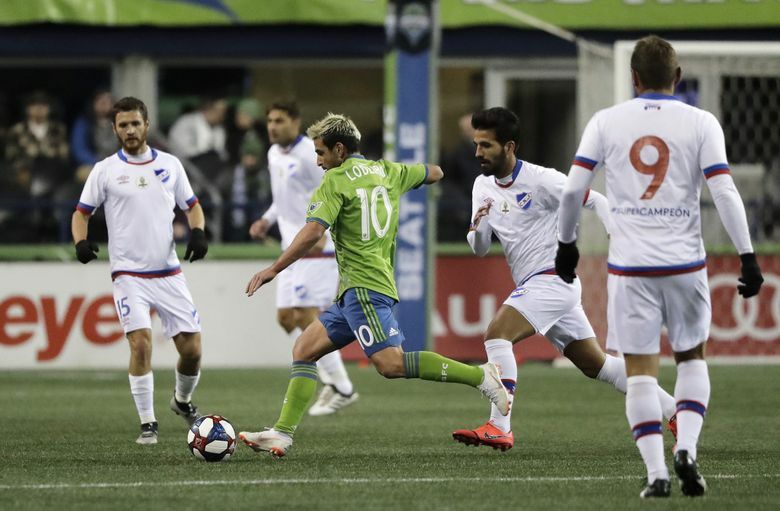 With just more than a week remaining before their regular season opener, the Sounders will work to cut down on the mistakes. Watching as Jordan Morris sprinted out to play the final 31 minutes of an otherwise meaningless international friendly gave the Sounders relief on two fronts. 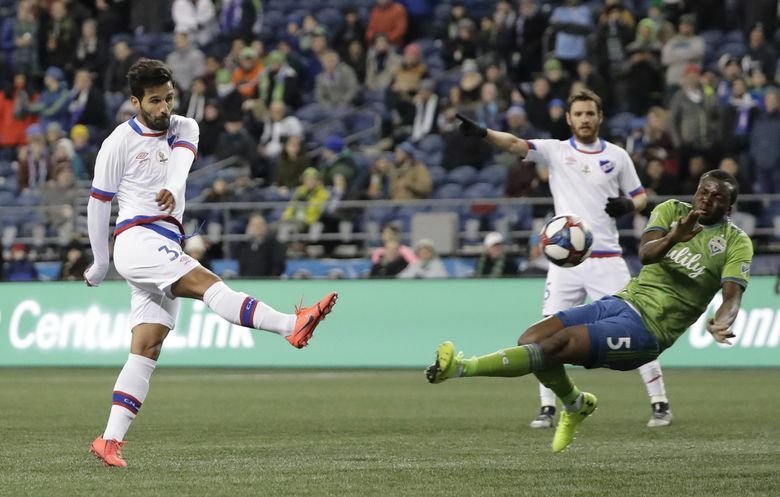 Morris seeing his first CenturyLink Field action in more than a year Wednesday night enabled the Rave Green to claim at least one major bright spot during their sloppy 2-0 defeat to Nacional of Uruguay. On a longer-term note, the Sounders know they’ll need Morris fully recovered from his 2018 season-ending knee injury if they’re to begin the regular season with the strong start they’ve long insisted is crucial. Morris admitted it was only this year in training that he was able to stop thinking about his surgically repaired knee whenever he planted his foot to abruptly change direction. 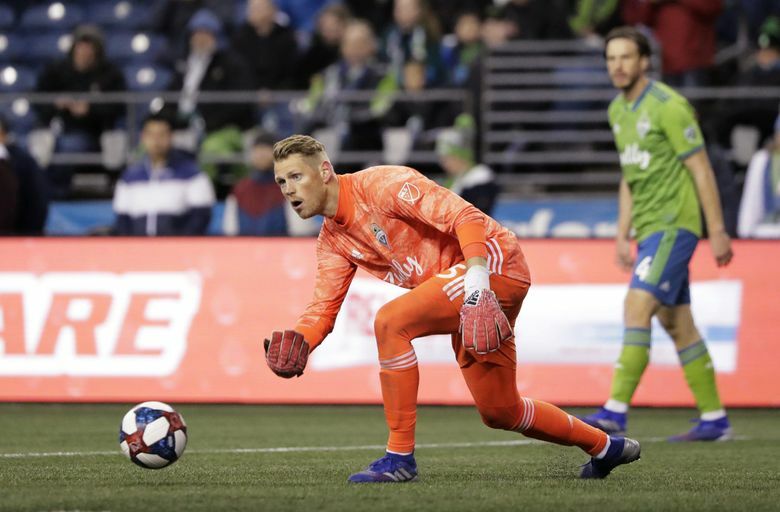 Though he trained with the squad late last season after tearing his ACL a year ago Friday in a CONCACAF Champions League match in El Salvador the Sounders knew it would take a while before on-field movements became automatic. More of a test than the rest of a forgettable night was for the Sounders from an overall soccer perspective. They saw Gustav Svensson ring a header off the crossbar in the 16thminute and then were playing from behind most of the night after that. At times, the Sounders seemed to be taking the “friendly” part of this exhibition a little too liberally in gifting the visiting Uruguayans turnovers. 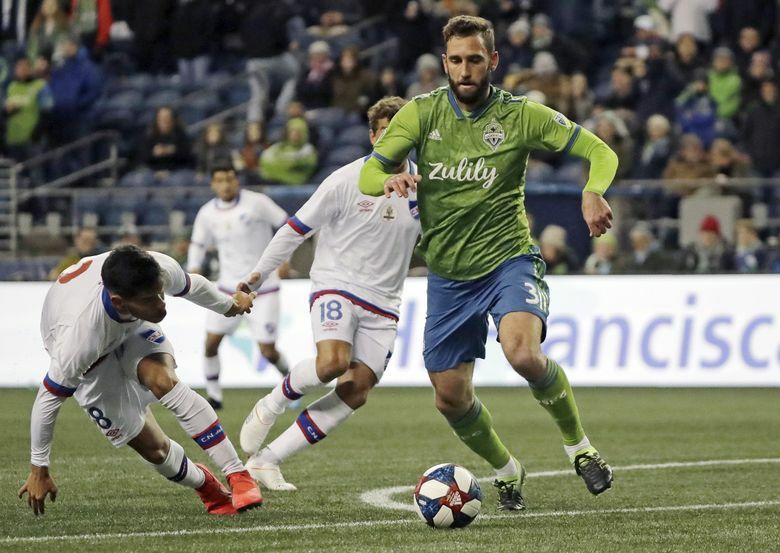 Three minutes after Svensson’s miss, a turnover in the Sounders’ end led to a nifty three-way passing play on the counter that saw Gonzalo Castro send Gonzalo Bergessio in alone. Bergessio promptly fired the ball through backup goalkeeper Bryan Meredith’s legs for a 1-0 lead. A minute after that, another turnover and an ensuing cross saw Meredith sprint far out of his goal in a bid to intercept the ball. But Meredith whiffed and striker Sebastian Fernandez was staring at an open net only to roll his shot inches wide of the near post. 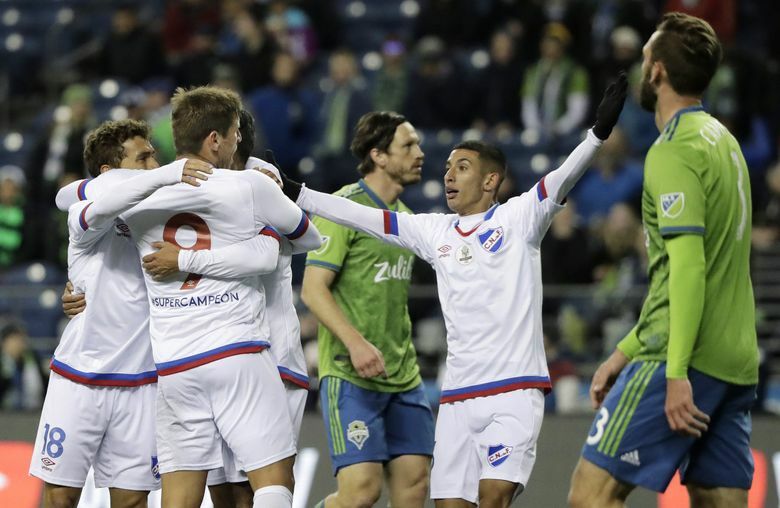 The Sounders escaped the half with no further damage, but then some sloppy backline play in the 53rdminute led to a pair of turnovers on the same sequence and allowed Fernandez to send Santiago Rodriguez in close and fire a shot by Meredith for a two-goal advantage that held up. Other than that, the game for the Sounders was about giving some added playing time to those working their way into game shape. 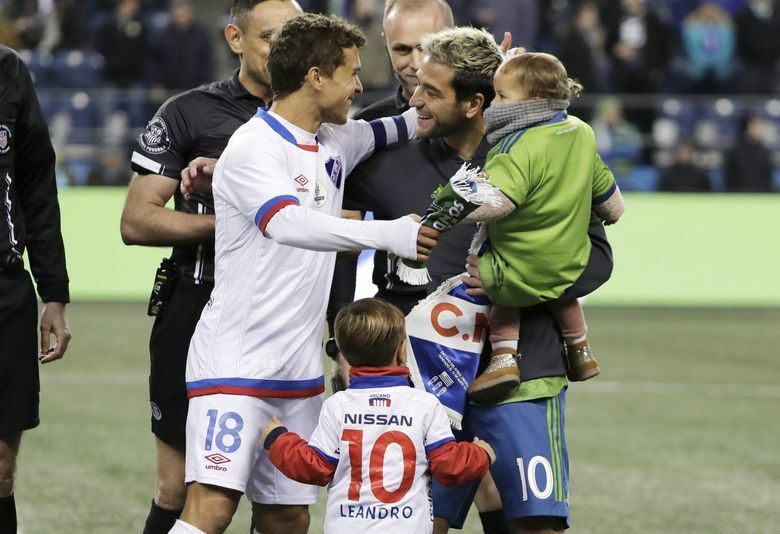 Nicolas Lodeiro had broken in as a professional with Nacional in 2007 so he was given a hefty-sized 67 minutes of action before being replaced by Danny Leyva, a 15-year-old in the team’s youth academy. The Sounders have been blown away by Leyva’s efforts in camp thus far and he remains the only academy player still training with them. Nouhou also got a healthy look for 64 minutes at left back as he attempts to get fit following some visa issues that kept him out of camp early on. But some of the defensive pairings – including Henry Wingo at right back and Jonathan Campbell at center back – looked a little jumbled at times and made it difficult to gauge the team’s progress. Sounders coach Brian Schmetzer admitted as much postgame, saying his goals of getting the team – still winless this preseason — as fit as possible ahead of their March 2 opener don’t always correspond to the most cohesive soccer play. “On an individual basis, we’ll do our normal thing,’’ Schmetzer said. “We’ll watch the film, we’ll get with Campbell, we’ll get with Nouhou, we’ll get with our back four because I did think our defense could have been a little sharper. They’ll have a little more time to get clicking on that front, starting with a Saturday affair at San Jose in which a more regular starting lineup will be deployed than what was used in this one.